Congress leader Ghulam Nabi Azad said President Kovind disrespected the freedom fighters by not mentioning Nehru's name in his speech. "This is very sad and unfortunate that he took Jawaharlal Nehru's cabinet ministers' name in his speech, but did not mention the name of Nehru Ji who was a freedom fighter and the first prime minister of the country. The President should remember this that he is not a Bharatiya Janata Party (BJP) candidate anymore. He is a candidate of India. He has to protect the Constitution of India and rise above and think beyond party politics," Azad told ANI. "This is a disrespect to the freedom fighters who sacrificed their lives for the nation," he added. 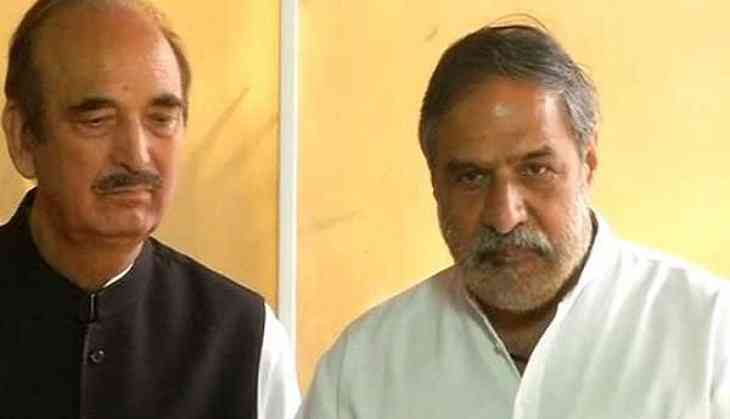 Congress leader Anand Sharma said that Kovind has disrespected history by equating father of the nation Mahatma Gandhi with Deen Dayal Upadhyay. "It is expected that he rises above partisan considerations. It is unfortunate that in today's occasion on his first address he has chosen to equate father of the nation Mahatma Gandhi with Deen Dayal Upadhyay. It has disrespected history and the fact that it was Gandhi ji who was the 'mahanayak.' Deen Dayal ji was neither a leader of India's freedom movement nor did he make any contribution in building modern India after independence," Sharma said. Addressing the gathering at the Central Hall of Parliament, Kovind, who sworn-in as the 14th President of India today, said, "I am aware I am following in the footsteps of stalwarts such as Dr. Rajendra Prasad, Dr. S. Radhakrishnan, Dr. A.P.J. Abdul Kalam, and my immediate predecessor, Shri Pranab Mukherjee, whom we address out of affection as Pranab Da." In his speech, he further remembered Mahatma Gandhi, Bhim Rao Ambedkar and Sardar Vallabhbhai Patel as patriotic freedom fighters. "We need to sculpt a robust, high growth economy, an educated, ethical and shared community, and an egalitarian society, as envisioned by Mahatma Gandhi and Deen Dayal Upadhyay ji," the President said. Kovind was administered the oath of office and secrecy by Chief Justice of India J. S. Khehar today. An National Democratic Alliance's (NDA) candidate, he defeated the Opposition's nominee Meira Kumar by a huge margin.